Do you own a Launchpad and want to upgrade? Now it the time to upgrade to Launchpad Pro. Launchpad Pro is the simplest and best way to create dynamic, expressive performances in Ableton Live, or any DAW. 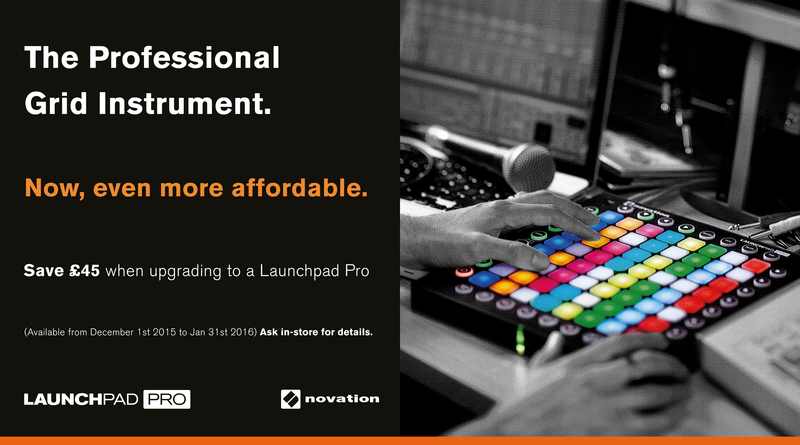 Now for a limited time Novation are making the Launchpad Pro even more affordable. From December 1st 2015 to January 31st 2016 you can save £45 on a Launcpad Pro when you upgrade. We will take note of the Launch products details (model, serial number). You now qualify for the upgrade discount and get to keep your old Launch product.